"In 1946, Francis Bacon, a brilliant young American physicist, is pursuing research under the guidance of Albert Einstein, Kurt Godel and other great minds of modern science. But because of a series of personal indiscretions he is forced to accept an altogether different, more sinister, assignment: uncover "Klingsor", Hitler's foremost adviser on the atomic bomb. 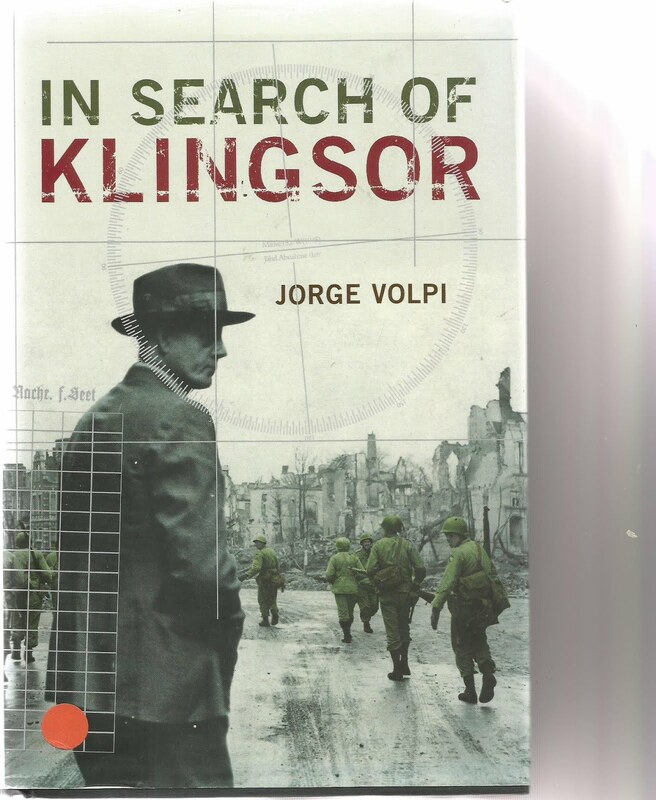 But who is "Klingsor" and where might he be found?" The reader is taken to Europe in a story narrated by German mathematician Gustav Links, who narrowly escaped execution as one of the plotters against Hitler. Then there is the mystery woman who attaches herself to this investigation. Much of this book involves conversations with physicists such as Heisenberg, Schrodinger and Bohr which is the fascinating part of the story. The history in the book is real when it comes to the race between the Nazi's and the Allies in development of Atomic weapons. The book is " part mystery, part psychological puzzle, part spy story".......it fuses " science, metaphysics, mathematics, philosophy- into a compelling narrative". This is one of the most interesting book I've read in a long time, it never gets dull, the science is enlightening and the history fascinating. The cover blurb compares this to "The Name of the Rose" - there is no comparison, this book is not that brilliant but similar in how it compiles its narrative. The book has been around since 1999 so should be available second hand about the place.